This is a lesson that the Attorneys General from 20 states and the District of Columbia and US District Court Judge Robert Lasnik don't seem to understand. Today Judge Lasnik extended his temporary restraining order preventing Defense Distributed, the Second Amendment Foundation, and Conn Williamson from distributing the 3-D printing and CNC files. The original order was due to expire tomorrow but now will go until the case is settled. The fact that these files are and have been freely available from other sources on the Internet seems to have been ignored. The website CodeIsFreeSpeech is still up and running and has all of these files. Judge Lasnik somewhat acknowledged that this is a First Amendment case. Dwarfed? Really? The so-called safety considerations put forth totally ignore the facts surrounding the 3-D printing of the Liberator pistol. What this case is really about is the gun control lobby and their political allies realizing that 3-D printing along with low-cost CNC machines is the death knell for gun control and they don't like it. Lasnik said in his ruling he "presumes that the private defendants have a First Amendment right to disseminate the CAD files." However, he viewed the restrictions on the right to be acceptable. "That right is currently abridged, but it has not been abrogated," Lasnik wrote in his ruling. Lasnik's wording appears to run counter to the First Amendment's explicit protection against "abridging the freedom of speech." "Congress shall make no law respecting an establishment of religion, or prohibiting the free exercise thereof; or abridging the freedom of speech, or of the press; or the right of the people peaceably to assemble, and to petition the government for a redress of grievances," the First Amendment reads. Lasnik said being forbidden from publishing gun designs on the internet didn't mean Wilson's free speech rights had been abrogated because Wilson was free to share the designs by other means—such as by mail or other forms of publishing. "Regulation under the AECA means that the files cannot be uploaded to the internet, but they can be emailed, mailed, securely transmitted, or otherwise published within the United States," Lasnik wrote. "The Court finds that the irreparable burdens on the private defendants' First Amendment rights are dwarfed by the irreparable harms the States are likely to suffer if the existing restrictions are withdrawn and that, overall, the public interest strongly supports maintaining the status quo through the pendency of this litigation." Cody Wilson actually says he is elated by the decision and plans to take it to the next level. He also referred to it as "clownish" and an "intentional insult". I think it is time to see if the 9th Circuit believes more in freedom of speech or in being gun prohibitionists. The state branches of the American Civil Liberties Union in New York and California appear to be stepping up to oppose measures aimed at the gun culture. First, in California. The ACLU is joining with groups like the Firearms Policy Coalition to oppose AB 1968 which mandates a lifetime ban on firearm ownership by anyone who has been involuntarily admitted to a mental health facility more than once in one year. “This bill stigmatizes people with a history of mental health issues, and perpetuates the harmful and false stereotype that such people are inherently violent and dangerous." As AWR Hawkins notes in an article in Breitbart, the bill's approach is essentially the same as that was used to deny Social Security recipients that needed help managing their monies. That is, it didn't differentiate between non-violent and violent behavior and lumped them all together. Duke University psychiatrist and behavior health professor Jeffrey Swanson had an op-ed in the Washington Post at the time criticizing this lumping together. He said then, "“the vast majority of mentally ill individuals pose no threat to themselves nor to others. Yet the ban stigmatized a broad swath of the mentally ill by treating them as a threat. Now on to New York where the ACLU filed an amicus brief supporting the NRA in their lawsuit against Gov. Andrew Cuomo (D-NY). To me, this is the more important of the two because the ACLU's defense of the NRA rightly points out the danger of using the administrative state against any organization that is out of favor at the time with a politician. Reason.com describes the efforts of the Cuomo administration to deny the NRA the ability to obtain banking and insurance coverages. A timeline prepared by the NRA suggests the intimidation campaign began last fall. The anti-gun group Everytown for Gun Safety met with New York officials in September 2017; a month later the Department of Financial Services began an investigation that started with a company called Lockton, which administered the NRA-branded personal liability insurance program known as Carry Guard. Despite a 20-year relationship, Lockton responded by abruptly ditching the NRA as a customer in February; so did Chubb and Lloyd's. Emboldened by this initial success, Maria Vullo, head of the state's Department of Financial Services, sent a pair of ominous letters to all banks, financial institutions, and insurers licensed to do business in New York. Vullo warned companies to sever ties with pro-Second Amendment groups that "promote guns and lead to senseless violence" and instead heed "the voices of the passionate, courageous, and articulate young people" calling for more restrictions on firearms. All companies receiving the letter, she advised, should "review any relationships they have with the NRA or similar gun promotion organizations, and to take prompt actions to managing these risks and promote public health and safety." New York Gov. Andrew Cuomo underlined the regulatory threat in a tweet the next day: "The NRA is an extremist organization. I urge companies in New York State to revisit any ties they have to the NRA and consider their reputations, and responsibility to the public.'" As a result of those not-very-veiled threats, the NRA says, multiple banks withdrew bids to provide basic depository services. The NRA is also worried about being able to continue producing its NRA TV channel, with hosts including Dana Loesch and Cam Edwards, unless it can obtain normal media liability insurance. David Cole, the ACLU Legal Director, explained in a blog post why they filed their amicus brief even though they still cling to a collective right view of the Second Amendment. His blog post points out that while it may be the NRA that is targeted today, it could be a liberal group that is being targeted tomorrow for "disapproved speech" and that violates the First Amendment. The amicus brief opposes NY's motion to dismiss the NRA's case. Their argument centers on two major points. First, that the court must consider all circumstances to determine whether or not Cuomo and company threatened adverse actions against the NRA's banks and insurers. In essence, it urges the court to look beyond the "wink-wink, nudge-nudge" wording of the press releases and guidance letters and look to the substance of what was being communicated. That is, if you do business with the NRA we will consider it a reputational risk and make it hard for you to do any business in New York State. The second argument in the amicus brief is that Cuomo and the other defendants misstated the requirements for a First Amendment claim. The ACLU says the requirements to make a First Amendment claim are rather straightforward and the NRA met the standard. However, the defendants (Cuomo and company) have tried to add some "non-existent requirements on to the test." The brief then takes these apart one after another and finds they have no merit. 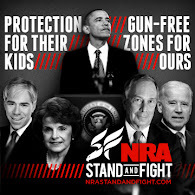 They conclude that the NRA's lawsuit should not be dismissed and that the case should go forward. While I don't agree with the ACLU on a lot of things and certainly not their incorrect interpretation of the Second Amendment, I do applaud their efforts in both California and New York State. It isn the latter case where I think they've really stepped up in their protection of constitutional rights. Use Special Session Of NC Senate To Do Something On Gun Rights! The North Carolina Senate is being forced back for a special session to deal with the wording of some the proposed constitutional amendments that will be on the ballot in November. One of the amendments to be voted on deals with making hunting and fishing constitutional rights under the NC Constitution. That's nice but the reality is that Republicans in the State Senate think such an amendment will placate gun owners despite their sitting on a bill authorizing permitless concealed carry. The Republican majority still think backing hunting is supporting the Second Amendment and gun rights. That might have been fine when all you had was Gun Culture v. 1.0 but we have moved to Gun Culture v. 2.0 and beyond. Grass Roots North Carolina recognizes this and they also recognize that this special session is an opportunity for the Republicans to actually do something with regard to gun rights. I just finished re-reading John Ross' Unintended Consequences for the third or fourth time. I came across this quote about the gun culture that really hit home. We have a specific culture. Guns and shooting are very important to us, just like living as nomads and hunting buffalo was important to the Indians. We are willing to work hard and have the government confiscate half our money and use it for things we never get any benefit out of, if only we can continue to buy our guns and our ammo and our components, and shoot a lot. "Our culture is important, and we're willing to pay for it. We have above -average educations, above - average incomes, and almost nonexistent criminal involvement. We pay far more in taxes and receive virtually no subsidy payments. You'd think Washington would be happy, but instead they are doing everything they can to destroy our culture. The soliloquy goes on but this is the meat of it. The only amendment that I'd make to his statement is to expand it to include more than just Washington and the Federal government. I'd add in the anti-civil rights billionaires like Bloomberg, Allen, and Gates who are protected by armed guards, the organizations they support with their wealth, and all the state and local politicians that have bought into their scheme to keep honest, hard-working citizens disarmed. 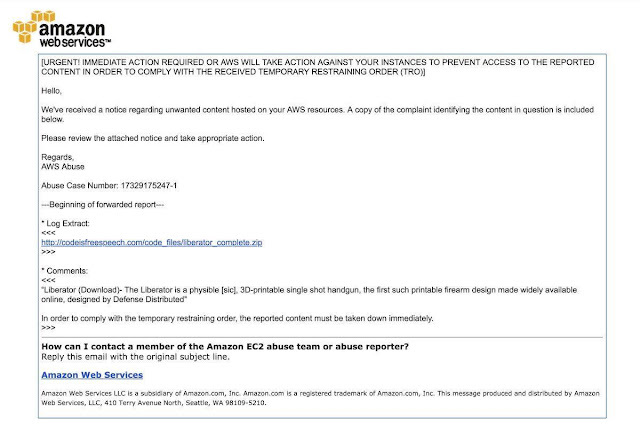 Copies of Unintended Consequences are very expensive on Amazon. While there are unauthorized PDFs of the book to be found on the Internet, I suggest contacting the publisher Accurate Press to see if they still have the paperback version available. The Canadian Army has used the SMLE or Short Magazine Lee-Enfield rifle in .303 British since the Boer War. Until this last week, their volunteer Arctic-based Canadian Rangers were still using it. However, it has now been replaced by the Colt Canada C19 bolt action rifle which a modified Tikka T3 CTR built under license. 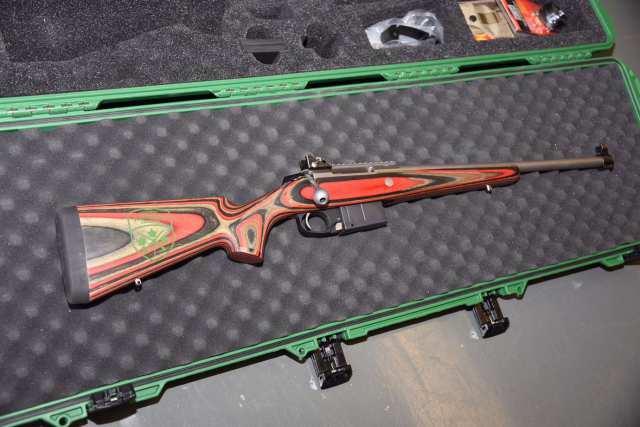 According to the Department of National Defence, the surplus rifles will be split between Army Cadets, museums, and the Rangers who wish to buy them. The Lee Enfield Declaration of Surplus was approved by VCDS on January 21, 2015. 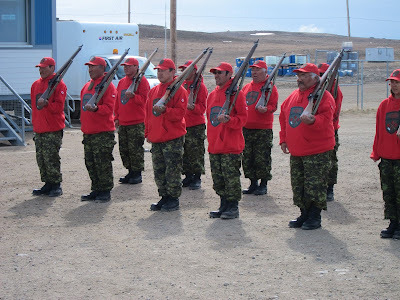 Approximately 9,500 rifles will be transferred to the CAF Cadets, mostly as non-functional rifles, to complement their entitlement of drill and training rifles. 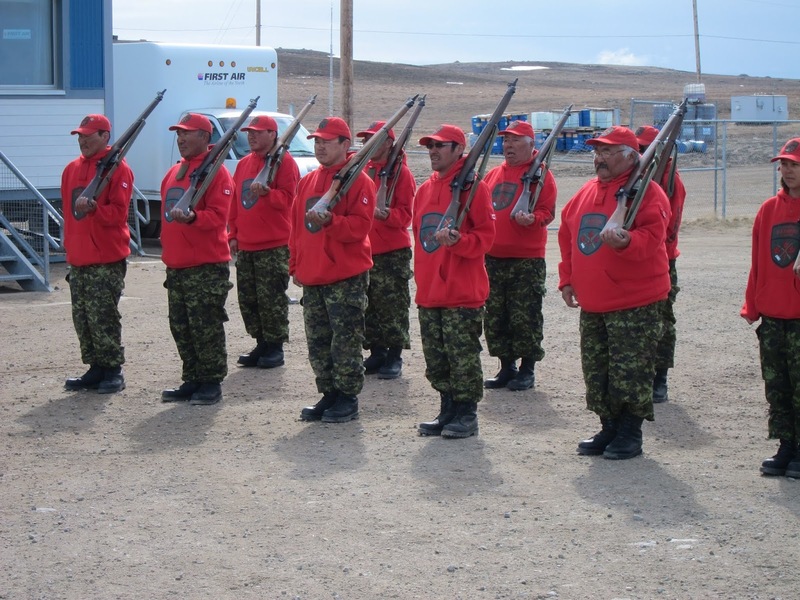 Another 5,000 rifles approximately, will be offered to serving Canadian Rangers individuals as a donation/gift to preserve heritage. Up to 50 rifles will be offered to CAF affiliated museums and units as display artefacts. I guess this means that few, if any, of these Enfields will be headed south of the border. You can see the replacement C19 in the photo below. It will come with the Pelican case and has the Canadian Rangers shield on the laminated stock. It is refreshing to see a state judge who believes the rules matter when it comes to a voter initiative. Thurston County (Washington) Superior Court Judge James Dixon is that kind of judge. This past Friday he threw out the 300,000 signatures collected on petitions on Initiative 1639 which would entail another round of gun control in Washington State. Judge Dixon found that the print on the forms was too small to be read and that the petitions did not clearly state what would be the changes in the law. He ordered the Secretary of State's office to stop certification of the ballot initiative. Among the things the initiative would do is raise the age to purchase a modern semi-auto sporting weapon including .22 rifles to age 21, require a firearm safety training course, and mandate safe storage. The petition process was started by the Alliance for Gun Responsibility and funded primarily by high tech billionaires such as Paul Allen. As you might expect, the Alliance for Gun Responsibility is appealing this to the Washington State Supreme Court. Moreover, as their CEOs comments make clear they are not happy campers. "The right of Washingtonians to make changes to our laws via initiative has been part of our state's history for more than 100 years and is fundamental to the Washington we know today," (Renee) Hopkins said. "Today's decision tossed out the signatures of more than 378,000 voters, and undermined the rights of the citizens of this state in favor of the interests of the gun lobby. It's not right, and we will continue to fight." Actually, it was the Alliance for Gun Responsibility's playing fast and loose with the established rules regarding the form and style of initiative petitions that undermined the petition and not anything the judge did. I guess they thought with all the money that they had the court would just roll over for them. As you might expect, Alan Gottlieb of the Second Amendment Foundation who sued as a private citizen was very pleased with the result. It is good for gun rights to see the NRA and the Second Amendment Foundation working together in Washington State. They are also co-plaintiffs in two more lawsuits challenging efforts by Seattle and Edmonds to circumvent the state's strong preemption laws on firearms regulations. You may remember seeing pictures and video of the collapsed rickhouse at Barton's 1792 Distillery in Bardstown, Kentucky. Initially it was only half of the rickhouse and then, before it could be safely shored up, the other half collapsed. However, all that good bourbon is not lost. Barrels that don’t need repair are recorded and removed from the pile to continue aging. Barrels that are leaky or damaged are moved to a coopering area to be repaired. Barrels that are beyond repair are dumped into a holding tank and discarded. The distillery has not released any information on how much has been saved. The following two videos show the recovery process. The first video was provided by Barton's 1792 Distillery. There is no word whether or not the distillery is going to release the bourbon from the collapsed rickhouse, Warehouse 30, as a special release similar to what their sister company Buffalo Trace did after a tornado took the roof off of Warehouse C. That release, E. H. Taylor Warehouse C Tornado Surviving bourbon, now goes for over $1,000 per bottle on the secondary market. As I reported about a month ago, a coalition of California gun rights groups, the SAF, and individual plaintiffs sued Attorney General Xavier Becerra (D-CA) and the California DOJ over their computer system failures which made timely registration of "assault weapons" impossible. This coalition has now added four more plaintiffs in an amended complaint and is moving for a preliminary injunction. More details are in the release sent out this afternoon. 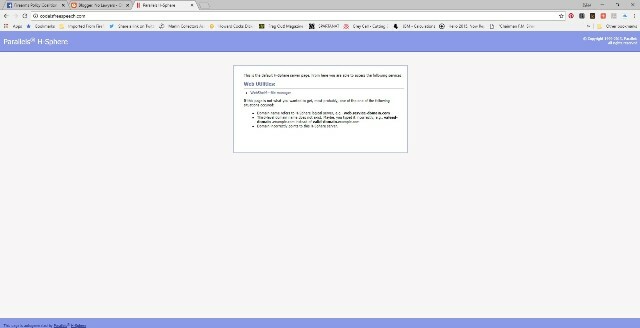 You would think that in California of all places that you could find competent IT professionals who could get a registration system not to crash. I guess not. In this video, Ian McCollum of Forgotten Weapons looks at one of John Garand's early rifles. 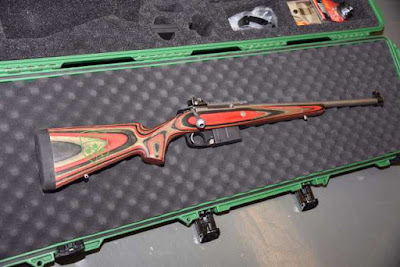 The Model of 1924 Trials Rifle was primer-activated. That is, the primer would come out of the pocket in the brass and push a small piston back. This would serve to unlock the bolt and the autoloading process would go on from there. This is the first that I've ever heard about such a system and I find it both intriguing and horrifying. Intriguing because it simplifies the barrel of the rifle - no gas ports needed - and horrifying because of the potential for failure or worse. Harvard Law Professor Laurence Tribe is one of those liberal lions in academia. He's put out leading books on the Constitution, testified before Congress, advocated for free speech, and is a hypocrite. Hypocrite as in saying he is an advocate for free speech but doesn't believe that code is free speech. This from a guy who argues that it would be wrong for the FCC and Congress to regulate violent TV programs as it would violate free speech. He has also has written law articles entitled "The Metatheory of Free Speech". Tribe's argument in the Everytown amicus brief is that code is not protected because it isn't "expressive" and because its purposes are the "widespread violations of federal and state law". Sorry but just because you are the Carl M. Loeb University Professor and Professor of Constitutional Law at Harvard Law School doesn't mean you are right. Here is a book that you need to buy that many in the gun control industry would like to see banned. It is called The Liberator Code Book: An Exercise in Free Speech. The book is exactly what it says it is - the 3-D printing code for the Liberator pistol in book form. Think of the $15 cost of this book as a donation to the advancement of free speech. Years ago, the US government tried to control an encryption program called Pretty Good Privacy or PGP which was freely available on the Internet for download. They started a criminal investigation of Phil Zimmerman who was its creator for exporting "munitions without a license". Starting to sound familiar to what the government wanted to do to Cody Wilson? It should. What Zimmerman did that stymied the government's efforts was to have the entire source code published as a book by MIT Press. The code could then be read by OCR programs and voila! While the government can and does control the export of munitions, it does not control the export of books. Fast forward to this year. The US Department of Justice realized that they could not win a free speech case against Defense Distributed and advised the State Department to come to an agreement with Cody Wilson et al. The State Department took this wise advice, signed the settlement, and US District Court Judge Robert Pitman dismissed the case with prejudice on July 30th. Dismissing the case with prejudice means that neither party can reopen the lawsuit. As I've written before, the attorneys general of 21 states are now suing in Federal court in Washington State to prohibit Defense Distributed from sharing the code. Judge Robert Lasnik granted them a temporary restraining order. However, that order only applies to the Trump Administration, Defense Distributed, the Second Amendment Foundation, and Conn Williamson. As you should know by now, a coalition of four California-based gun rights groups set up www.codeisfreespeech.com and have published the code for the Liberator and other firearms on the Internet. They have had hundreds of thousands of downloads since the site went live despite the efforts of Amazon Web Services and Facebook. This has always been a free speech case despite what the gun control industry, the anti-civil rights state attorneys general, and the gullible media would have you believe. Printing the source code in a physical book serves to doubly reinforce that. 1. "Banning digital code files that can be used to manufacture and object is fundamentally different than banning a physical book that holds the same exact information." 2. "We must also ban this book." Even anti-gun judges are not going to look too favorably upon either argument and the US Supreme Court certainly will not. So go buy the book! Ian McCollum of Forgotten Weapons discusses a rather unknown (in the greater scheme of things) battle between the Germans and the French Resistance during WWII. The battle for Vercors was the climatic battle between the Resistance and the Germans which took place in 1944. The battle took place in southeastern France in a region that is had a mix of mountains, high cliffs, and high plateau also known as the Prealps or foothills of the Alps. Roughly a month after the battle, the American armored forces arrived in Grenoble and the Germans were gone. While the Allies provided some supplies to the Resistance, it really wasn't enough to fight over a combined arms force of glider troops, armor, grenadiers, SS, and turncoat Ukranian anti-partisan forces. Ian does for the Battle of Vercors what he is known for doing for rare and little known firearms. He explains it in detail and leaves you knowing more than you did before. Steve Sanetti has been President and CEO of the National Shooting Sports Foundation since 2008 and was President of Sturm, Ruger before that. The NSSF has announced a succession plan for when Sanetti retires at the end of 2019. Joseph Bartozzi, Executive VP and General Counsel of Mossberg, will become the new President of NSSF on September 10, 2018 with plans that he assume the CEO role on Sanetti's 2019 retirement. Bartozzi has been with Mossberg for the last 32 years in a variety of positions. He is also the Chairman of the Board of SAAMI and is a NRA certified RSO. You can read more about Bartozzi in the NSSF's announcment below. Joseph BartozziCurrent President and CEO Steve Sanetti will stay on in his CEO capacity through his retirement at the end of 2019, at which point Bartozzi will take over those additional duties. Maybe I Missed Something - Aren't Newspapers Supposed To Support The First Amendment? When I grew up in the 60s and 70s in Greensboro, North Carolina, our local newspaper, the Greensboro Daily News, supported free speech. It had editorialized against the Speaker Ban Law which banned anyone with Communist Party connections from speaking on a state university campus. It featured great editorial writers like Jonathan Yardley and Edwin Yoder who went on to win the Pulitzer Prize later in their careers. The editor was Bill Snider who would get crosses burned in his yard for his support of civil rights. Imagine a gun you could build in the privacy of your home in much the same way that you assembled model cars and planes as a youth. A few clicks of a mouse and — voila! — you’re in business. We have the know-how. We have the technology. And we should have the common sense not to use it. You know where this is going. The unsigned editorial in the News & Record (combination of the old Daily News and Greesboro Record) was applauding the move by Attorney General Josh Stein (D-NC) to join the lawsuit in Washington State seeking to prevent Defense Distributed from publishing its files of code for 3-D printing and CNC machining. No matter that these have been on the Internet since at least 2013 and thousands of us have copies of those files on our computers. No matter that it is 100% legal to make your own firearm so long as you are not a prohibited person and it is not a fully automatic firearm. Of course, they didn't tell you that part in the editorial. Nor did they say that it would cheaper and easier to go to Lowe's for parts and Harbor Freight for tools to make your own more substantial firearm. When a news organization ostensibly dedicated to a free press AND to free speech editorializes against speech it doesn't like - and make no mistake computer code is speech - it sets a horrendous precendent. What speech will you next want to subject to prior restraint? Will it be conservative speech by an African-American like Mark Robinson? Or will it be something said by a pro-life teen? Where does it stop? You don't have to like what is said and you can argue against the ideas contained in that speech. However, in our somewhat free society it should and must be allowed. It is a bad precedent for any news organization to argue for censorship of free speech. The Greensboro Daily News and Record editorial staff ought rightly to be ashamed of themselves. I stumbled across an interesting connection to Staten Island, NY - the forgotten borough - in the case pitting the the anti-gun attorneys general of Washington and a few other states against SAF and Defense Distributed. Both Judge Robert Lasnik who approved the temporary restraining order and attorney Josh Blackman who is representing Defense Distributed grew up in Staten Island. Blackman is a graduate of the Staten Island Technical High School which was established in 1988. Judge Lasnik graduated from Port Richmond High and is a member of their Hall of Fall. This 2011 profile of Lasnik in the LA Times discusses his love of Bob Dylan and how it impacted "his soul" with regard to civil rights while growing up on Staten Island. I find this Staten Island connection interesting because my mother grew up there, my grandfather was the Tax Assessor for the Borough and County of Richmond, and my cousin Tom still lives in my grandparents' house. Moreover, a good part of summer and every Christmas from the time I was born in 1957 through about 1980 was spent on Staten Island. I also find it intriguing that the person who had his soul impacted by the music of Bob Dylan with regard to civil rights is the one who curtails free speech. Conversely, the attorney who grew up there as it became a conservative enclave in a sea of blue is the one fighting for free speech. Charles C.W. Cooke, editor of NationalReview.com and recently naturalized American citizen, had this to say about the gun control industry's flipping out about 3-D printing and self-made firearms. He's absolutely correct. No matter what they say to the media or what they say to gullible judges or say on the floor of Congress about "plastic guns", their real fear is becoming irrelevant and that is why they are fighting this tooth and nail. 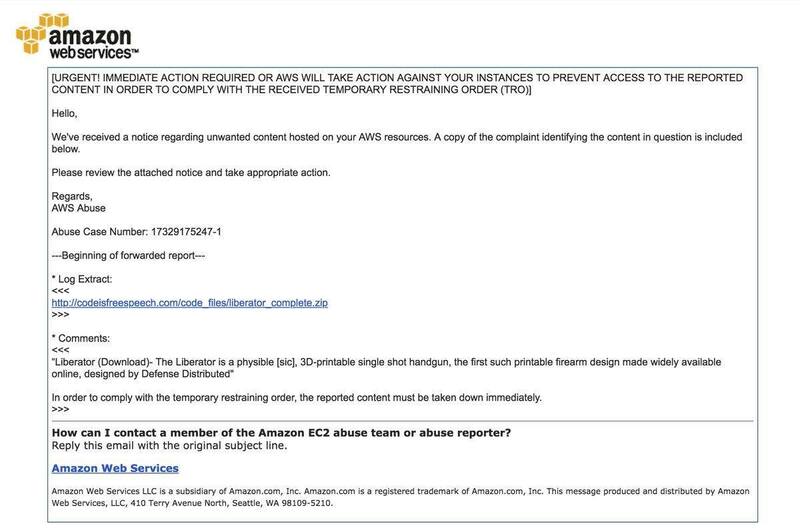 US District Court Judge Robert Lasnik, a Clinton appointee, held an emergency hearing this afternoon in Washington State concerning a request for a Temporary Restraining Order to prevent Defense Distributed from publishing their files effective tomorrow. The TRO was sought by the Attorneys General of Washington State, Connecticut, Maryland, Oregon, Massachusetts, New York, New Jersey, Pennsylvania, and the District of Columbia. It is quite questionable whether Judge Lasnik actually had the authority to issue such an order. Moreover, it is also questionable whether the plaintiffs had any standing in this case. Of course, none of this has stopped activist judges determined to stop any and all actions decided by the Trump Administration. For reasons we will explain in a supplemental pleading—filed seriatim to accommodate the rapid pace of this litigation—the Plaintiffs cannot succeed on the merits: the State Department’s actions are not subject to judicial review, the duty to notify Congress has not yet been triggered, and the Commodity Jurisdiction procedure simply does not apply. See Exhibit D.
Fortunately, the bedrock principles of the First Amendment make this case much easier. A finding that a constitutional right “‘is either threatened or in fact being impaired’. . . mandates a finding of irreparable injury.”7 And “[t]he loss of First Amendment freedoms, for even minimal periods of time, unquestionably constitutes irreparable injury.”8 Outside of court papers, the Attorney General of Washington bluntly acknowledged the purpose of his litigation: to “make it as difficult as humanly possible to access this information.”9 That statement against interest, by itself, is enough to deny the Temporary Restraining Order in its entirety. The Plaintiffs can challenge the proposed rule in due time when it is finalized. But they cannot mount a collateral attack in order to censor speech. Blackman goes on to say in a subsequent letter that the District Court for the Western District of Washington lacks "subject matter jurisdiction." This ruling illustrates even more poignantly that Brett Kavanaugh needs to be confirmed sooner than later to replace Justice Anthony Kennedy. UPDATE: Judge Robert Lasnik did issue a seven page opinion to accompany his temporary restraining order. It can be found here. As it is, he bought the argument of Washington State et al in its entirety and ignored the free speech issues completely. The only mention of the First Amendment was with reference to the original complaint filed by Defense Distributed and SAF. Plaintiffs have also shown a likelihood of irreparable injury if the downloadable CAD files are posted tomorrow as promised. A side effect of the USML has been to make it more difficult to locate and download instructions for the manufacture of plastic firearms. If an injunction is not issued and the status quo alters at midnight tonight, the proliferation of these firearms will have many of the negative impacts on a state level that the federal government once feared on the international stage. Against this hardship is a delay in lifting regulatory restrictions to which Defense Distributed has been subject for over five years: the balance of hardships and the public interest tip sharply in plaintiffs’ favor. Absent from Lasnik's 7-page ruling is any consideration of the First Amendment implications of censoring information about building firearms. This has been legal since before the United States was founded; Reason's special Burn After Reading issue even includes helpful instructions for constructing a handgun from legally available parts. Crucially, also absent from the opinion is any recognition of the difficulty of censoring information once it's already been published to the web. The files, as I call them, Freedom Files, are now widely available on the Internet if not available currently at www.defcad.com.